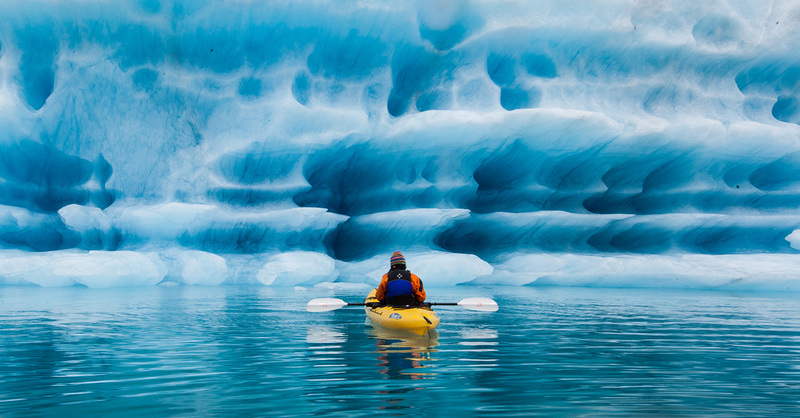 This trip is one of the few that can be considered "iconic"
This trip is suitable for beginners and seasoned kayakers alike. If you are a beginner, consider that you are going to be outdoors in Seward Alaska, and that means it often rains and is cold. Be sure to dress appropriately, and remember that all of our trips do involve a lot of physical activity. This is a truly amazing opportunity. 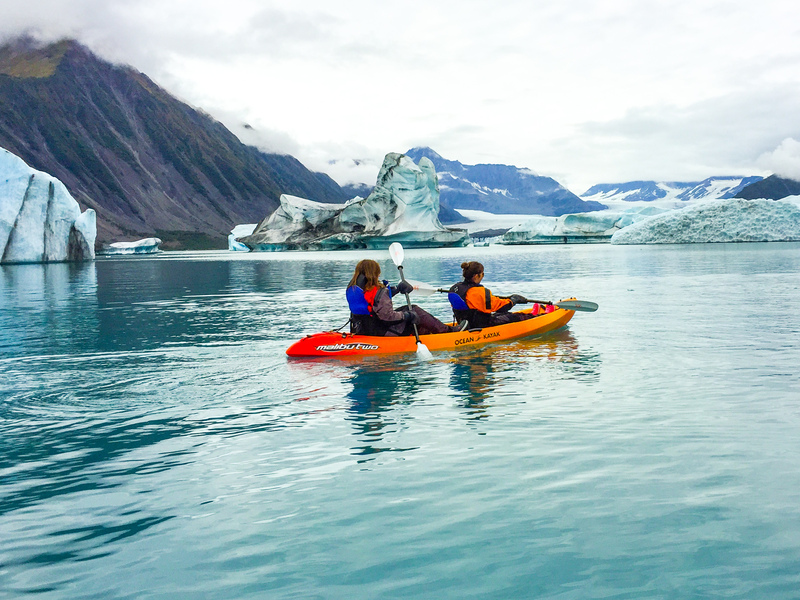 From the comfort of our kayaks, we'll explore the massive icebergs that are deposited by Bear Glacier, the Harding Icefield's largest glacier. 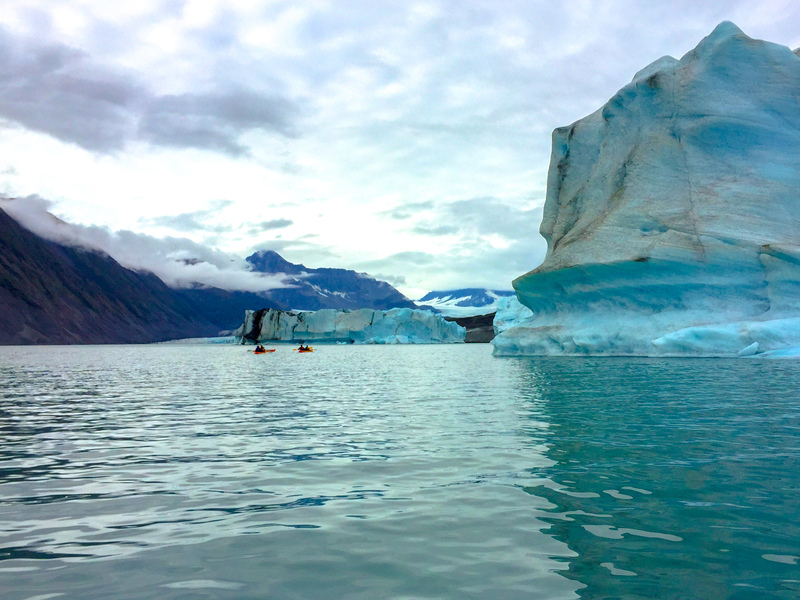 You'll enjoy the stability of our boats in the glacier's calm lagoon while your group checks out the huge floating chunks of ice around you. 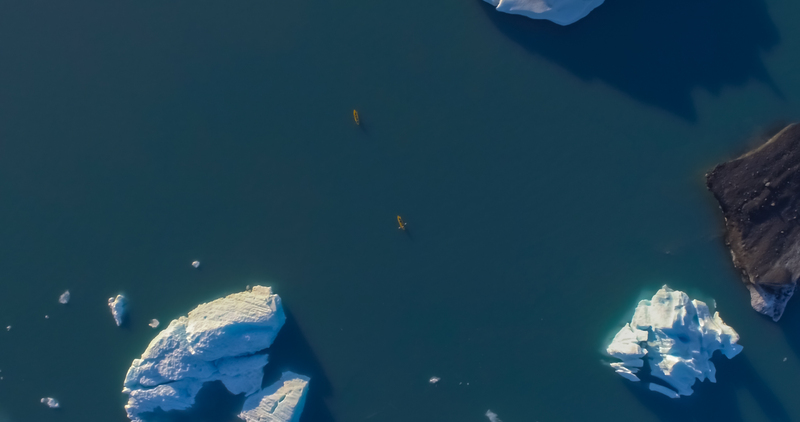 The features in the lagoon change daily, and our guides' job is to expertly navigate your group safely though the maze of ice created by the calving glacier. The features in the lagoon change daily and your guide will choose the best route to navigate through the maze of ice. 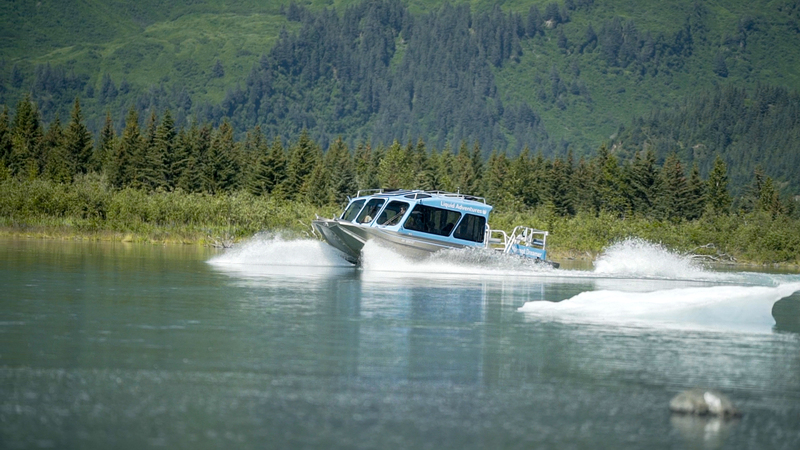 Wildlife also varies day to day with good chances to view harbor seals and black bears. This tour lasts a little over 5 hours and departs daily. 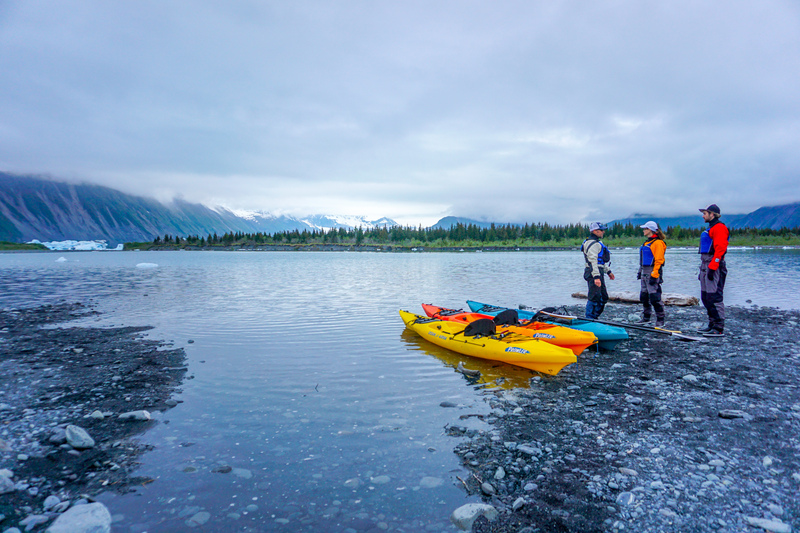 This trip is suitable for beginners and seasoned kayakers alike. If you are a beginner, consider that you are going to be outdoors in Alaska, and that means it often rains and is cold. Be sure to dress appropriately, and remember that all of our trips do involve a lot of physical activity. 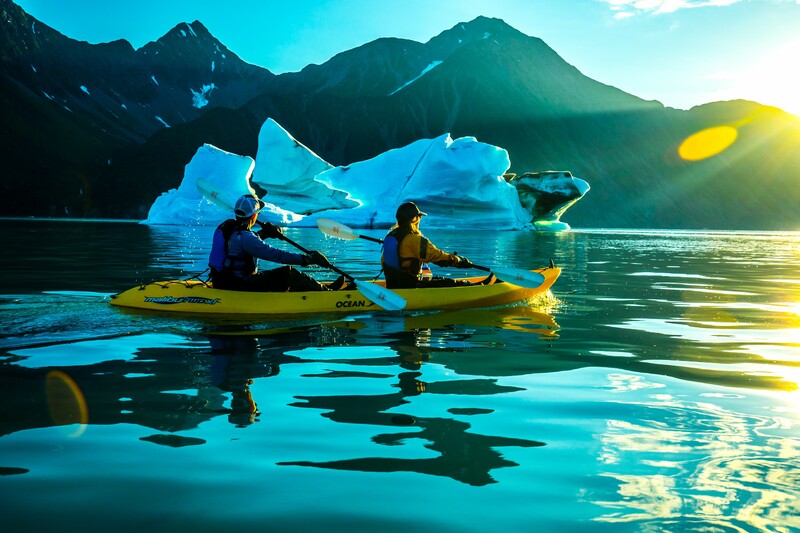 We use sit-on-top kayaks for this trip because they are ideal for photography. This style of boat allows easy access to your drybag with your camera gear, and the boats are exceptionally stable. 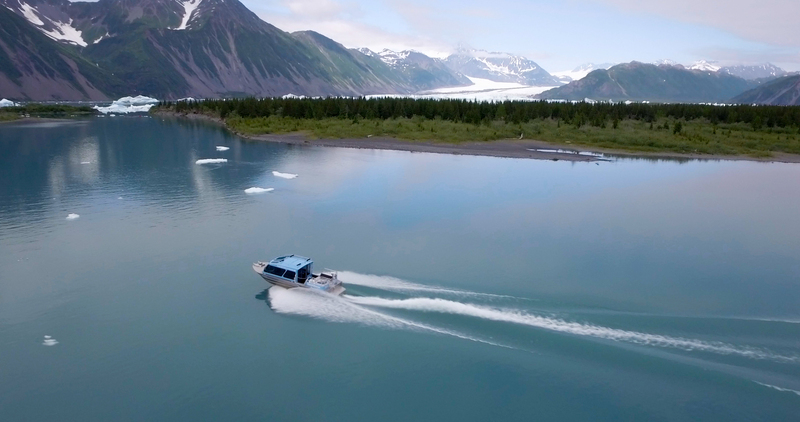 Check out this amazing, interactive video that we filmed last season at Bear Glacier with Google and the National Park Service for their Centennial celebration. See the full project here — it's incredible.